Pete Doherty is the indie Sinatra. In terms of comebacks, we hasten to add. 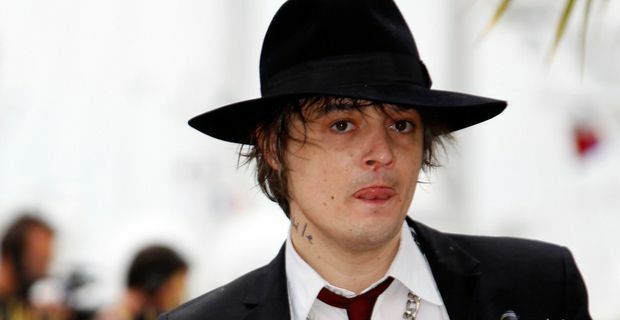 The former Libertine seems to regard his music career as an interlude between drugs busts, but now the cherub-faced junkie-rocker is hitting the road once more, with Babyshambles, always the lesser of the bands Doherty has fronted. The dates will coincide with a new album from Babyshambles, or at least the release of some rehashed recordings under the Babyshambles banner. Doherty had worked on some new songs with producer Stephen Street, who produced the 2007 Babyshambles album Shotters Nation. The original intention was for the songs to be part of a Doherty solo project, but now they will form Babyshambles' third album. He started work on the record in 2009, but there have been constant interruptions for court appearances on drugs charges. The laws of diminishing returns seem to be afflicting Doherty's career. There is still a loyal, if nostalgic following for The Libertines. They played the Reading and Leeds festivals in 2010 and Doherty has attempted on several occasions to get the band back together as a recording outfit but co-writer Carl Barat is understandably reluctant to get too closely involved with Doherty again. Music aside, Doherty likes to regard himself as something of a Renaissance man, although others tend to disagree. Doherty attempted to launch an acting career in Confessions Of A Child Of The Century, playing opposite Charlotte Gainsbourg but the results were so unintentionally hilarious that it would be an insane director who ever cast Doherty in anything again. He has also dabbled in painting, although critics were scathing about his daubs using his own blood. There are 20 scheduled dates on the Babyshambles tour, beginning in Glasgow on September 4, although long-suffering fans may be excused a little scepticism about how many of the bookings will actually be fulfilled.